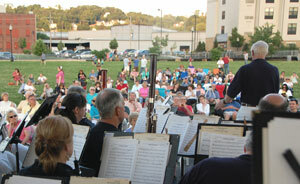 BALTIMORE COUNTY, MD – June 9, 2014 – The Baltimore Symphonic Band (BSB), a 50 piece musical ensemble based at CCBC Essex, has just completed its Western-Maryland concert tour. 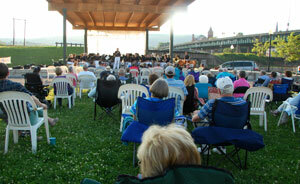 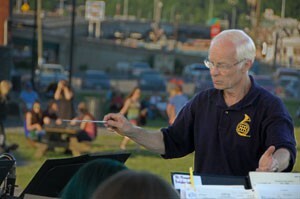 The band performed this past weekend (June 7 – 8, 2014) in Cumberland and Williamsport and was very well received in both locations. 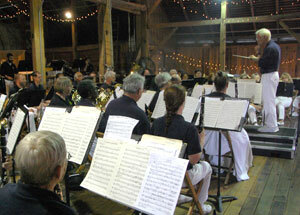 On Sunday BSB participated in the Maryland Community Band Day festival at The Barn at Springfield Farm in Williamsport, MD, hosted by the Williamsport Community Band. 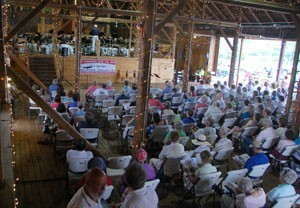 The audience especially enjoyed the music representing the West, such as The Magnificent Seven and Star of Dreams. The Overture 1812 was also a big hit. 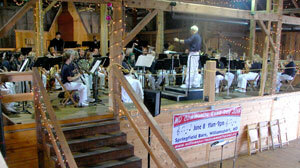 Maryland Community Band Day is an annual festival that brings together community bands from all over the state of Maryland for a full day of performances and camaraderie.